Come to The Hassle’s Black Market Flea this Sunday from 12-6 & sample the very best of what our finely-curated local vendors have to offer! In the days leading up to the event, we’re going to be featuring some of our favorite vendors on the site to talk about what they’re selling, where they got their inspiration, and how they make their stuff. So what happens when you join the collective? That is entirely up to the applicant. Within Wintermute there are programmers, painters, musicians, and more than several skilled growers. By and large we receive interest from those involved with the cannabis industry, black or grey market. But if you’re interested in collaborating, please reach out; the more the merrier. Your website tells me you guys are trying to bring joints back – have you had any luck? We’ve had a surprising amount of luck with our joints. However they remain quite challenging to describe…while they’re not quite the joints you’re used to smoking, 72mg of CBD straight to your face is going to -feel- remarkable. 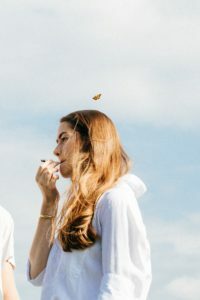 Perhaps my personal favorite description of what smoking high CBD cannabis feels like came from a friend when she said she smoked it and thought “is this me well?” It doesn’t get you high exactly…but the proven anti-anxiety qualities of CBD really shine in doses of 30mg and above. Honestly, and this might sound somewhat convenient, I just recommend giving one a try, we’ll be offering some special promotional prices on our pre-rolls on Sunday for Black Market Flea, so give it a shot! Tell us more about PLA plastics. We’ll actually be bringing one of our 3D printers with us to Black Market Flea to show off a bit. We’ll be printing special tops for our pre-roll packaging from a color unique to the show, so watch out for that! But on to your question, PLA (Polyactic acid) is a bioplastic made from sustainable materials such as corn starch (when it’s manufactured in the US, as ours is) or sugarcane elsewhere in the world. It is biodegradable and remarkably strong when printed correctly. 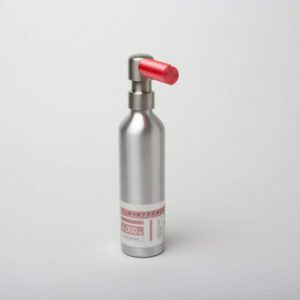 It comes in a wide variety of colors from semi-reflective silver to a more matte bubblegum pink, though how you print it can have an enormous effect on surface finish. We ended up 3D printing for our displays & packaging out of necessity. We needed a joint rolling machine and existing models cast from closed cell foam cost between $400 and $2,000 dollars. A perfectly serviceable 3D printer starts as low as $180 dollars, though our chosen model, the Creality CR-10 costs approx. $350 before upgrades. So we modeled and printed one ourselves, it’s been chugging away making 42 joints at a run for over a year now. What is it that makes CBD more desirable than THC? While THC has a propensity for making some of us anxious, or nervous, or paranoid, CBD actually reduces anxiety and has anti-psychotic properties. Additionally, in low doses between 1 and 25 mg. CBD has stimulant effects, while in higher doses, 25 and above, it is a remarkable sleep aid. That being said, I think it really has to be experience to be understood. When I was introduced to the concept of CBD I assumed it would be a short lived distraction until the legalization of recreational THC…now that I’ve been steeped in it for multiple years, I know it’ll be a staple in my life as long as I can find it, and seeing as it grows right out of the ground, I don’t see it going anywhere soon. What’s the best holiday gift in ur fine line of products? While I personally am a big fan of our CBD pre rolls, I freely admit they are not to everyones taste; not everybody cares to smoke after all. but if you do, hit it! 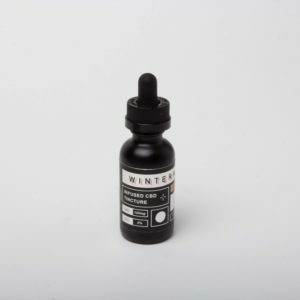 Our infused tincture (black bottle) is an excellent introduction to CBD, at 150mg / ounce, 4.5mg / dropper full, it’ll never overwhelm you, and at $30.00… the price is right. Our organically grown hemp flower is infused in MCT oil with local Tulsi and Schisandra berries for eight weeks before we bottle it up and release it into the world. Come hang with the good folx from Wintermute and many, many more vendors on Sunday at the Cambridge Community Center!